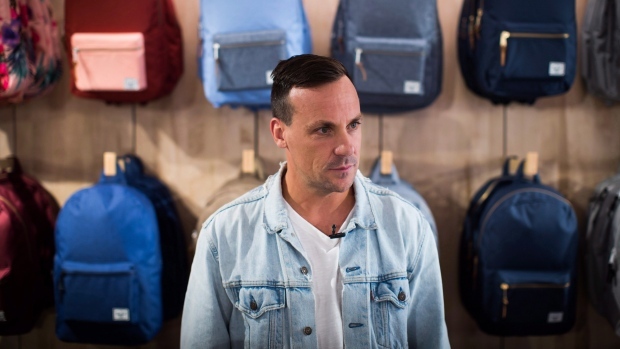 VANCOUVER — Canada's backpack makers are experiencing a boon beyond the traditionally busy back-to-school season as students and consumers with all types of carryall needs flock to their designs. The back-to-school lead-up is "hot, hot, hot, hot," said Manny Kohil, CEO of Montreal-based vegan bag brand Matt & Nat. "Month of August is always on fire," he said, adding that flows into the first week of September before slowing down. Parents will spend an average of about $45 on backpacks — though that jumps to about $68 for high-school students. About 40 per cent of respondents admitted they'd likely go over budget on supplies. The survey was conducted between July 27 and 29, and questioned 276 adults with school-age kids. The polling industry's professional body, the Marketing Research and Intelligence Association, says online surveys cannot be assigned a margin of error because they do not randomly sample the population. But it's not dependent on it, he said, noting backpacks have become more "like an every-day purchase" as people increasingly flock to urban centres, live in smaller spaces, rely on public transit and commute using methods other than cars. Both brands saw an upsurge in demand that's led them to open retail stores and plan domestic and international expansions. "I think that a retail store still hands down does it better than anything in the world in relation to conveying a brand's purpose and message," Cormack said. Herschel's first shop is a logical step as the company previously only sold its goods online and through other retailers, like department stores, he said. In the roughly 5,000-square-foot space, the brand can present all its products to consumers rather than a small selection curated by another retailer, like the Hudson's Bay Co. (HBC.TO), Cormack explained. Already, more stores are in the works, though Cormack said there's no specific timeline for future openings. He opened the chain's first store more than two years ago "to elevate the brand," he said. But the rucksack companies' expansions aren't just into real estate. Both are evolving into so-called lifestyle brands. Meanwhile, less than 50 per cent of Herschel's sales come from backpacks, said Cormack. The company also makes wallets, laptop sleeves and luggage. It expanded into apparel with packable windbreakers and plans to add other diverse categories into its mix in the future. Herschel appears to be following a similar trajectory to another Canadian retailer: Canada Goose (GOOS.TO). The luxury winter jacket company started as an e-commerce business, then opened its own stores at home and eventually abroad before holding an initial public offering. Cormack doesn't deny Herschel could eventually go public, but said the company is certainly not looking at an IPO in the near future.